More great product for you, I just add the Walther CPSport Pellet Pistol to the Replica Airguns Store. 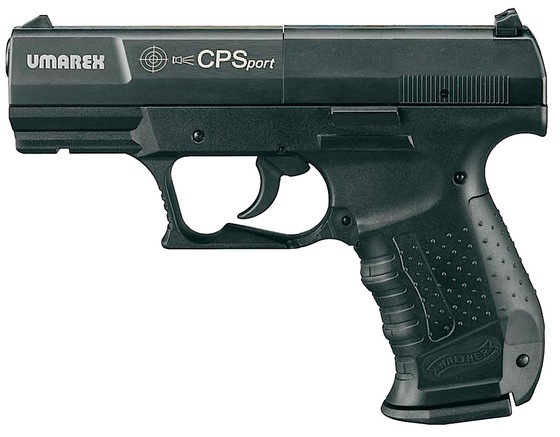 With Walther’s Fast-Action CO2 System, the CPSport is quickly ready to fire. The CO2 capsule is housed in a magazine that drops out of the grip with a realistic push of the magazine release lever that's located in the same place as it is on the Walther P99. Load its included rotary magazine with eight .177 caliber RWS lead pellets and enjoy shot after accurate shot. Modeled after Walther's P99 sidearm, the CPSport Air Pistol is an affordable pellet gun that will give you years of shooting enjoyment. Increase the fun with the CPSport by adding these optional accessories: Laser Sight, additional rotary magazines, additional Drop Out CO2 magazines.